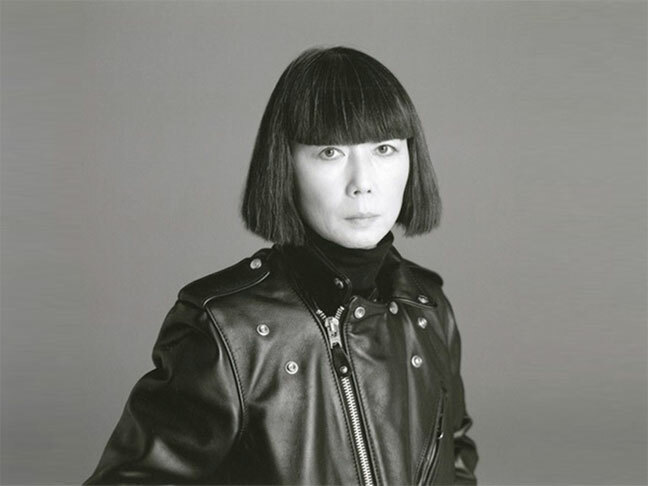 Fashion Designer Rei Kawakubo, founder of COMME des GARÇONS (コム・デ・ギャルソン), was born in Tokyo in 1942. She became famous in the 1980’s because of her anti-fashion, deconstructed asymmetrical garments, mainly in black, dark grey or white, and often frayed or with holes. When these clothes were first introduced, many people in the West were outraged and some journalists called her creations ‘Hiroshima chic’. In spite of, or perhaps because of the controversy, Centre Georges Pompidou in Paris organized an exhibition of Kawakubo’s work, consisting of photographs taken by Peter Lindburgh. Kawakubo’s reputation as a fashion genius was now firmly established. Although Kawakubo never received a formal education as a fashion designer—she studied fine arts and literature at Tokyo’s Keio University—she began working as a freelance stylist in 1967. In 1973, she established Comme des Garçons Co. Ltd, a fashion label for women’s clothes in Tokyo. The first boutique was opened in 1975. A men’s line was added in 1978. In 1981, Kawakubo started presenting her fashion lines in Paris. Her first Paris boutique was started in 1982. Since the 1990’s, her creations incorporate bright colors, although her “three shades of black” can still be found. In 2004, Kawakubo opened her first Guerilla Store in Berlin. Guerilla Stores are simple stores, located in unfashionable locations, with a minimum of investment that are run for only one year. The Guerilla concept has been used, amongst others, in Athens (Greece), Beirut (Lebanon), The Hague (The Netherlands), Helsinki (Finland), Hong Kong (China), Krakow (Poland), Reykjavik (Iceland), Singapore, Stockholm (Sweden) and Warsaw (Poland). The idea of running a simple store for a limited period is quite common in Japan, where it is often used to fill up undeveloped space in city centers until building begins on the plot. The first Dover Street Market was opened in London in 2005. 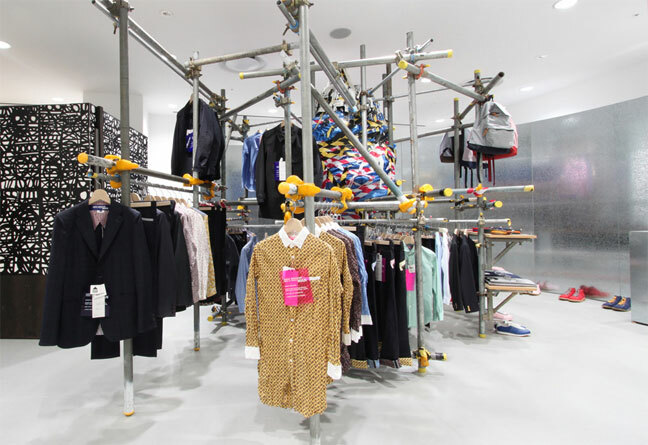 DSM sells most Comme Des Garçons lines and also invites other designers. Ginza DSM in Tokyo was opened in March 2012, while the New York DSM opened late 2013. Kawakubo maintains a holistic hands-on approach to running her company and is personally involved in the graphic design, advertising and shop interiors of her brands. 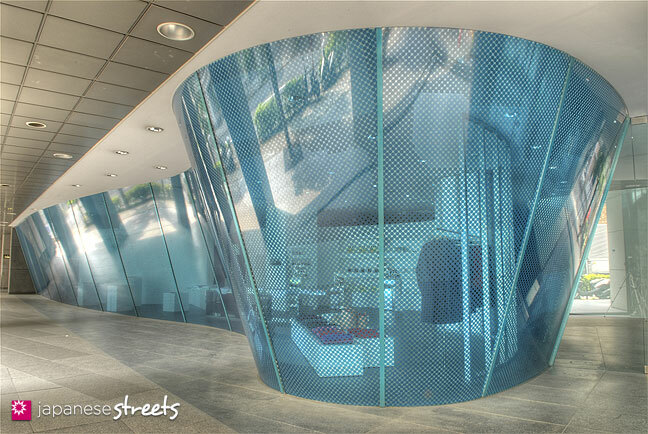 Her imprint is especially visible at the Comme des Garçons flagship store in Aoyama, Tokyo, which features beautiful sloping glass, for many years decorated with little blue dots. Like Issey Miyake, Kawakubo is a firm believer of the apprentice system. Some of the young talent that she has nourished over the years, include high-flying fashion designers like Junya Watanabe, Jun Takahashi and Tao Kurihara. 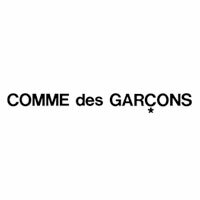 COMME des GARÇONS is now sold worldwide. The brand maintains stores in Aoyama, Tokyo’s high fashion district, as well as Place Vendôme in Paris. The brand has been selling perfume since 1994.
happy valentines…have followed your design since the 80’s….my daughter has found you. I’ve bought a Comme De Garcons Play T shirt (white w/ gold print)in Early Feb 2011. The T shirt was dis-colored after washed by hand with only detergent(powder). So sad!!!! I washed the T shirt for the second time, dis-colored again, almost the gold color faded. What can I do? Anybody can tell me? I bought the T shirt in Kyoto, anybody can help me?? @Polly: I assume you strictly followed the instructions for washing. In that case, I would take it back to the COMME des GARÇONS store where you bought it and explain politely what happened. They will surely try to remedy the problem. Hi! Kjeld Duits, Noted you message and thank you very much for your advice. Will do as guided. Thanks again! You’re welcome, Polly. COMME des GARÇONS is pretty serious about the quality of their items, so I’d expect them to be receptive. Hi! Kjeld Duits, How are you? I’ve already received the new Tee Shirt from CDG on June/11/2011. Thank you so much! Wonderful, Polly. I am glad that it worked out for you. I have the same problem as for Polly.I’ve bought a Comme De Garcons Play T shirt (Grey w/ gold print)in Jul 2011. The T shirt was dis-colored after washed by hand with only detergent(very mild). It can be waitness by my maid. Unfortunately, I am now back in Hong Kong. Can I have the e -mail address to raise my complaint? @Paul Pong: At which store did you buy the t-shirt, Paul? Hi! Paul, Last time I bought the Tee Shirt at Kyoto. As advised by Kjeld Duits, I’ve sent the email to CDG regarding the problem of the Tee Shirt. I got the feed back from them and sent out the Tee Shirt together with their invoice to them by courier. Few days later, they received it and after result, they sent me a new one. May be you can contact them first. Is there an email contact to the main office in Tokyo? I’m interested in an internship! i bought a shirt from cdg in nyc im about to hand wash my shirt but im scared from all the comments. is there another method i can use because if these shirts get messed up im going to be very upset. @Jessy: One option would be dry cleaning. What does the tag say about how you should care for your shirt? @krizzy : In Osaka, the shop is on the second floor of Namba Parks. How much is the cdg play shirts in japan? I’m going to Kyoto next week, where can I buy CDG in Kyoto? Thank you!